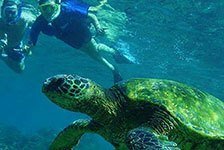 Kona Ocean Experience offers tours of the beautiful Kona Coast from the Big Island. Choose a dolphin swim excursion and swim alongside dolphins. Kona Ocean Experience also offers snorkel cruises during the day and night. 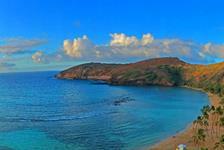 Swim with mantas, sail along the coastline at sunset, and snorkel Kealakekua Bay - all with fun professionals. 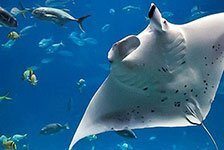 Book Kona Ocean Experience tours online for your next Kailua-Kona trip.